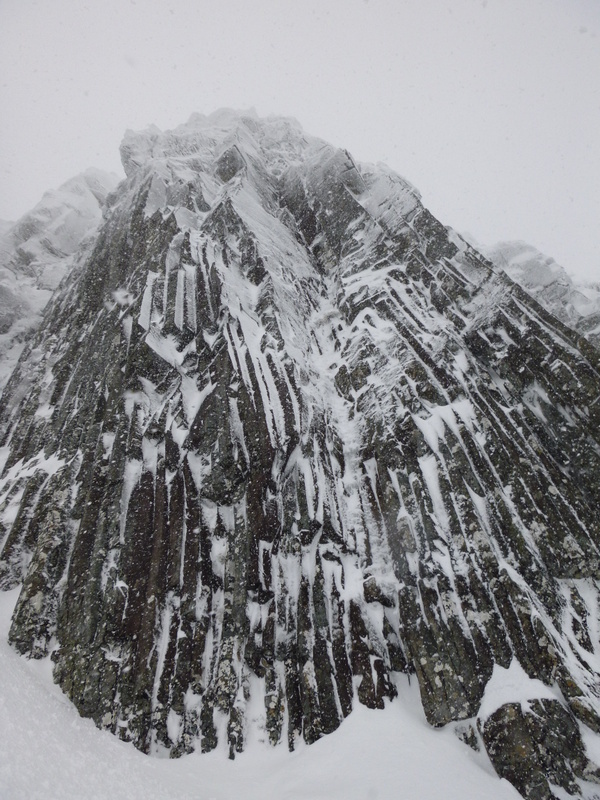 James and I had a cracking day up Stob Coire nan Lochan today. 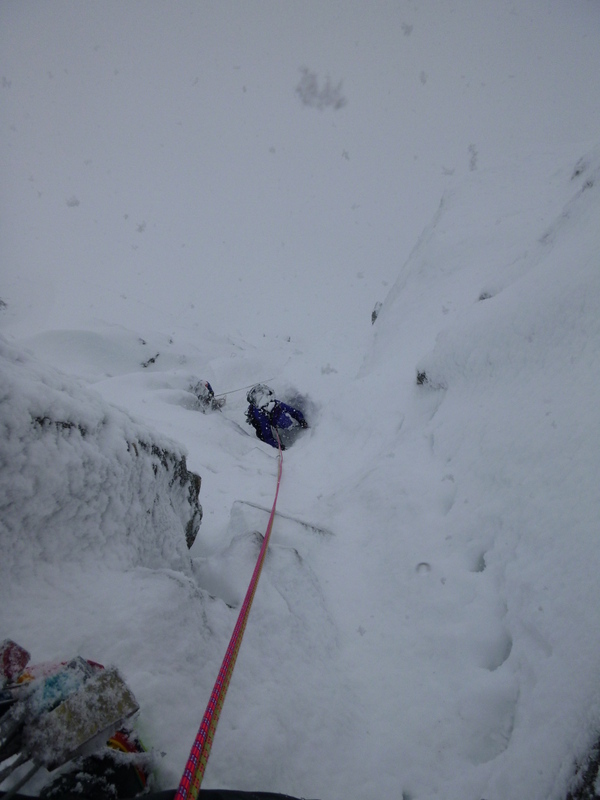 We climbed Raeburns (Ordinary) Route IV,4 which was in sweet condition with really helpful snow, ice and neve in all the right places. It was very sociable though, with Matt and Dave working for the Brenin each with two guys as their respective partners. 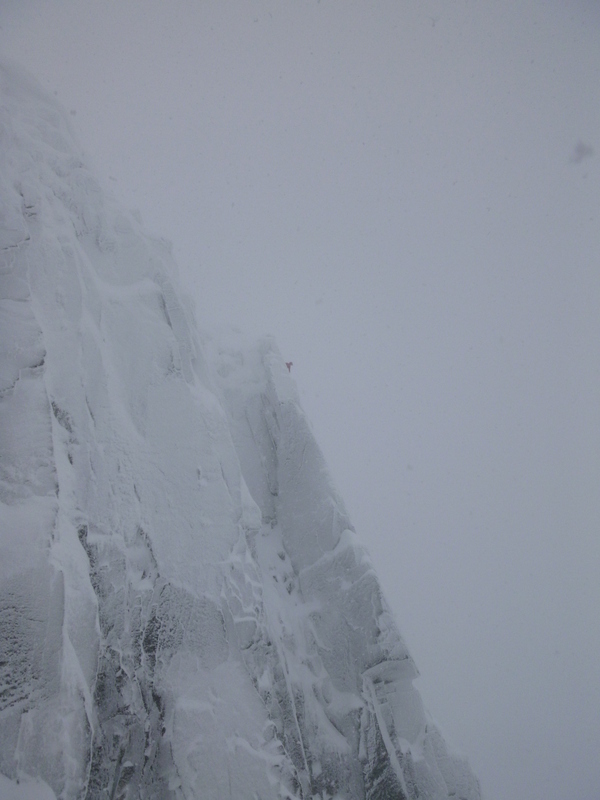 Mike sounded like he was having a great time on Crest Route; Tim was also in the Coire on Scabbard Chimney not to mention other teams climbing Dorsal and NC. The routes look to be in superb condition, very wintery and not overly buried. Forecast gusts of 60mph didn’t materialized and we were even treated to some blue sky and an exciting bum slide back down to the path! Got drenched on the way out though, but hey who cares when you’re on the decent – right!? 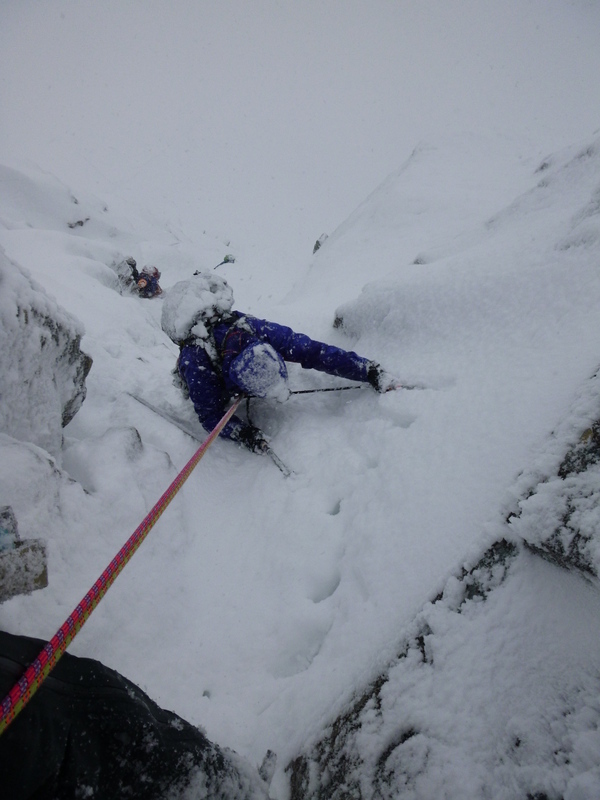 Very Scottish conditions today – great fun!